BMM has completed another successful project in the role of Independent Commissioning Agent; this time on the Commonwealth Science and Industrial Research Organisation’s (CSIRO) new Synergy Building – a $100 million research facility that will amalgamate the scattered CSIRO staff currently occupying several inefficient buildings. The Synergy Building (together with the refurbishment of four existing buildings and new car parks) has an exciting future ahead of it – well done to all involved. Solving Australia’s biggest challenges across agriculture, the environment and the digital world. The Synergy Building features 15,000 square metres of modern lab and office accommodation housing 500 scientists. Acting Minister for Industry, Innovation and Science, Senator the Hon Michaelia Cash said food security, environmental sustainability and data present significant challenges and opportunities for Australia, now and into the future. “Synergy has been created to tackle these challenges by bringing together great minds within a world-leading scientific facility,” Senator Cash said. Commissioning agents are an effective tool for quality assurance, and are increasingly being recognised as international best practice. In addition to enhancing building’s efficiency, they also improve the occupant’s experience in the building. Resolving the design & location of the fresh air plenum, ensuring a better outcome for the facility by ensuring the plant room wasn’t used for this purpose. Securing 32,000L of thermal energy storage that was at risk of being cut, ensuring better cooling and extending the life of the chillers. The resulting building is cutting edge, with a highly controlled, tuned natural ventilation system that is an evolutionary advancement on traditional systems, which can be hit and miss. 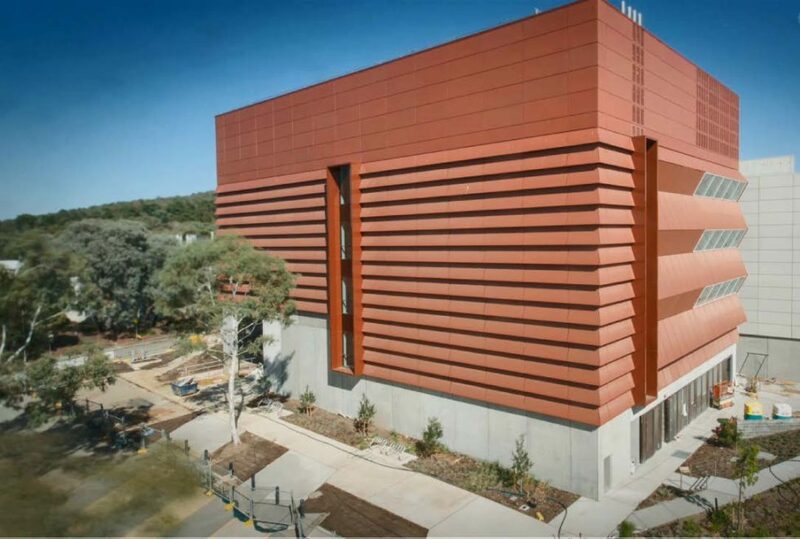 Peter Westwood from CSIRO said “[The] Synergy building was one of the largest projects CSIRO had ever delivered… from the outset, the true value of having BMM on board became evident. Their due diligence, their engineering knowledge and professionalism kept the design deliverables to an achievable level. The BMM team have an incredible depth of knowledge and are highly regarded in the industry. Expert design clarity is one of the many benefits offered by an ICA role. Projects with even higher technical requirements such as laboratories with sophisticated systems realise higher benefits from an ICA. With this higher technical content comes increased risk of the building performance not living up to the stakeholder expectations. The ICA role mitigates this risk and provides a better end result. As commissioning agent, BMM has independently reviewed and verified the building’s subsystems meet CSIRO’s project requirements, across mechanical heating, ventilation, air conditioning, plumbing, electrical, fire safety, building envelopes, interior systems, and lighting. Barmco Mana McMurray’s ethos is to uphold the client’s needs as their own. And what a beautiful town, indeed. Such a shame to see it in a condition like that. Expect you needed a great trip and i also wish you’ll feel better soon, thank you for the amazing post, Marzia!